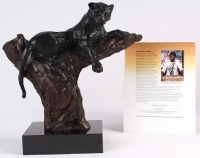 Limited edition solid Bronze sculpture with beautiful patina of the vigilant black panther, measures approximately 16" in height (including base) and 15" at its widest part. 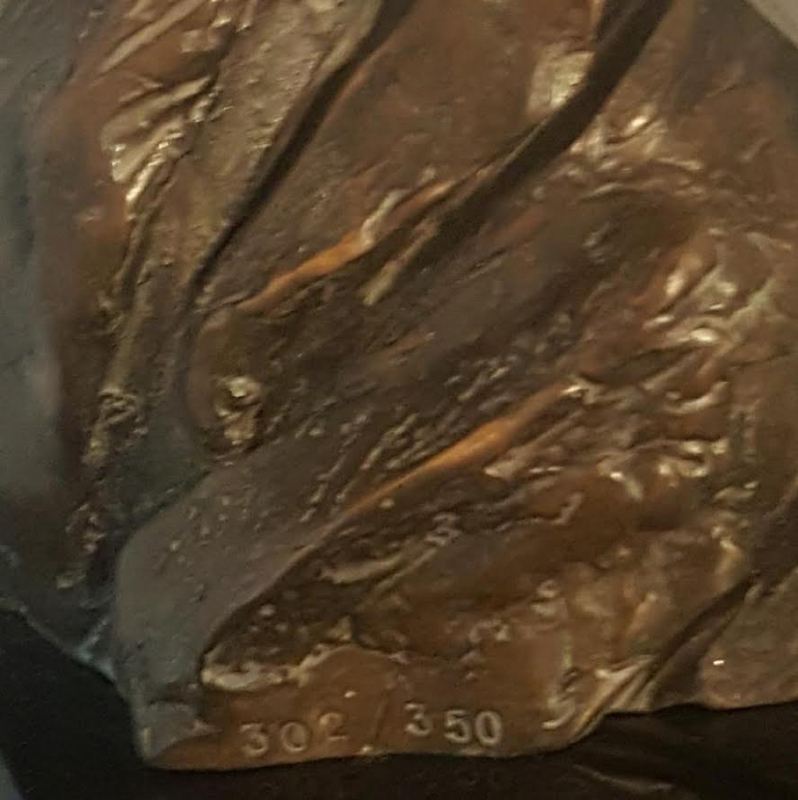 Signed in the mold by Artist, LeRoy Neiman, American (1921 - 2012). 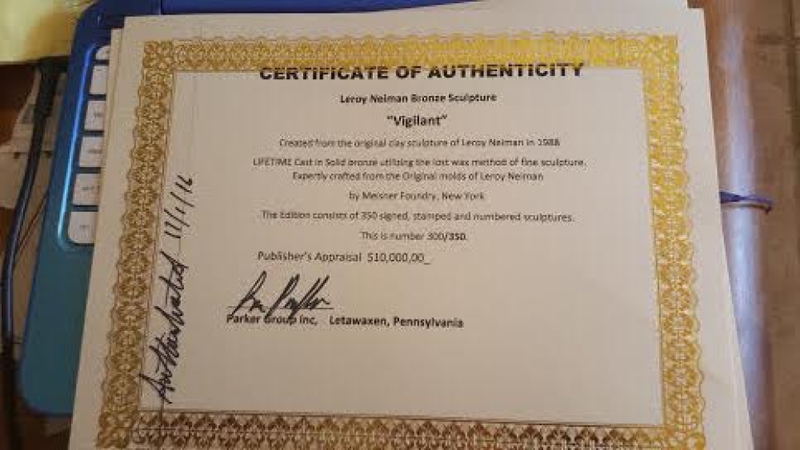 Leroy Neiman has produced in form what he considers to be two of the most prominent characteristics of successful people: VIGILANCE and DEFIANCE. The capacity to be aware and attentive to ones surrounding and the ability and bravery to stand for what one believes are characteristics Neiman as illustrated in these two very powerful and brilliant sculptures. 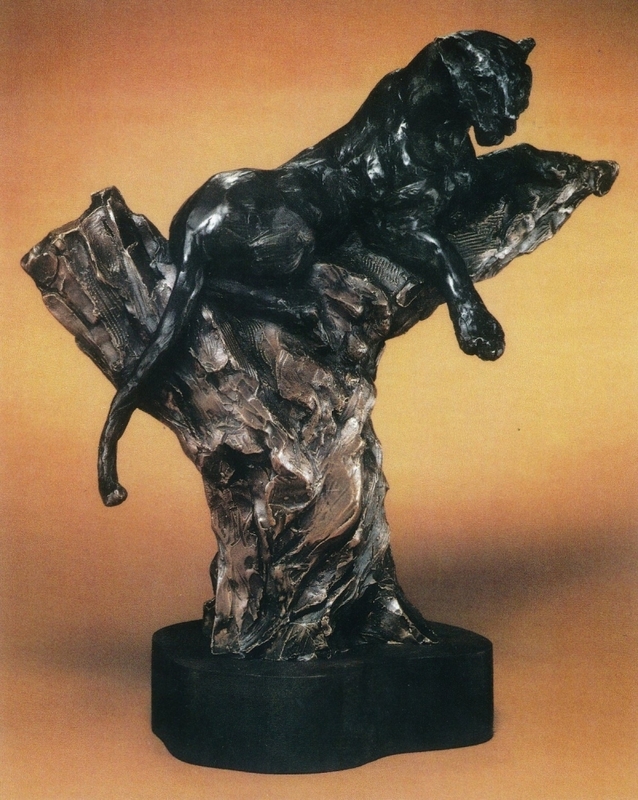 Vigilant is the second work in the Neiman sculpture collection. 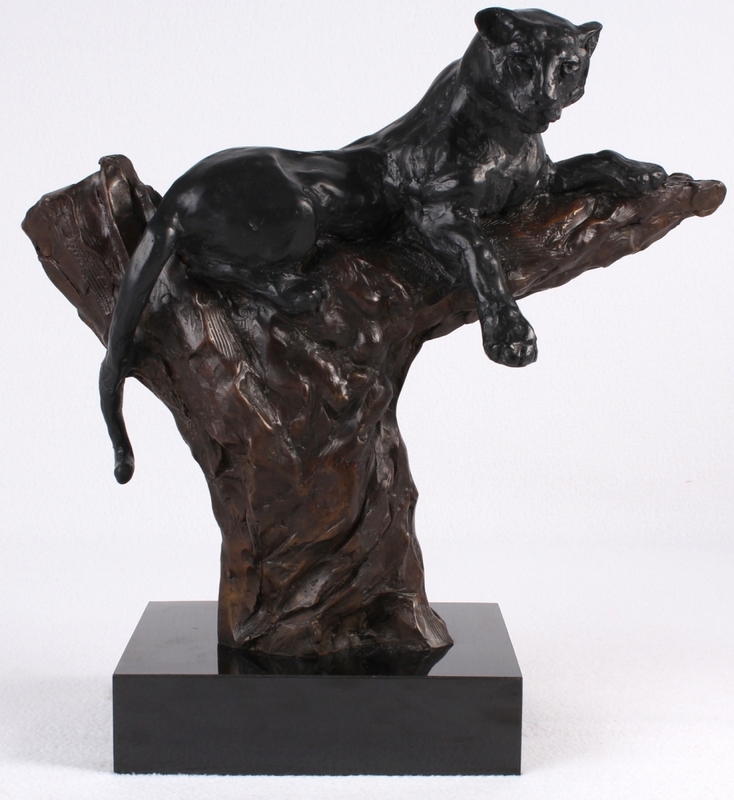 This noble bronze Portrays the sleek and savage panther. Relaxed yet watchful and ever alert to danger the powerful cat reveals Neiman's striking facility for anatomical Structure. 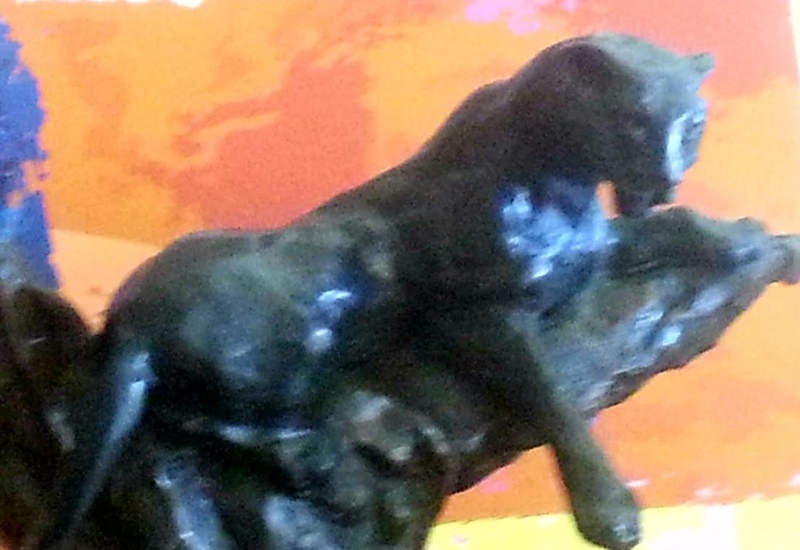 The muscles rippling under, Half Snarl of the jaw, the paw hanging limp but with claws not entirely sheathed. Neiman's admiration for this formidable creature is obvious in the magnificent bronze. 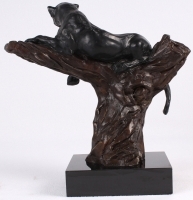 Cunning and strong the Panther attacks only when necessary and only when he is within range of prey thus making sure he does not exhaust himself In endless pursuit. As a warrior this monarch of the wild is wise as well as brave. Incredible sculptures by one of America's greatest artists, these precious pieces of art speak to the qualities which must be constant companions of all who are successful in life. LeRoy Neiman's Vigilant and Defiant sculptures are two of only five sculptures Neiman had produced in his career spanning over 50 years. 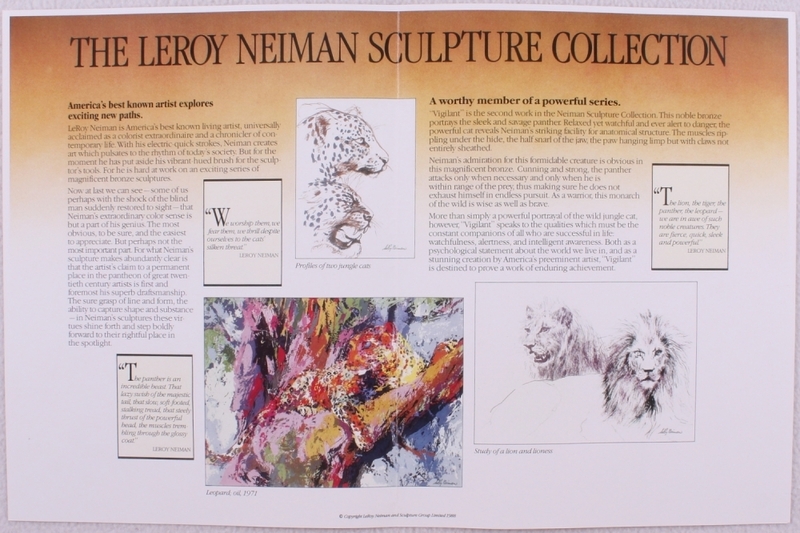 Leroy Neiman sponsored and supported several organizations that foster art activities for underprivileged and disabled children. These include The Leroy Neiman Center for Youth in San Francisco and the Arts Horizons LeRoy Neiman Art Center in Harlem. 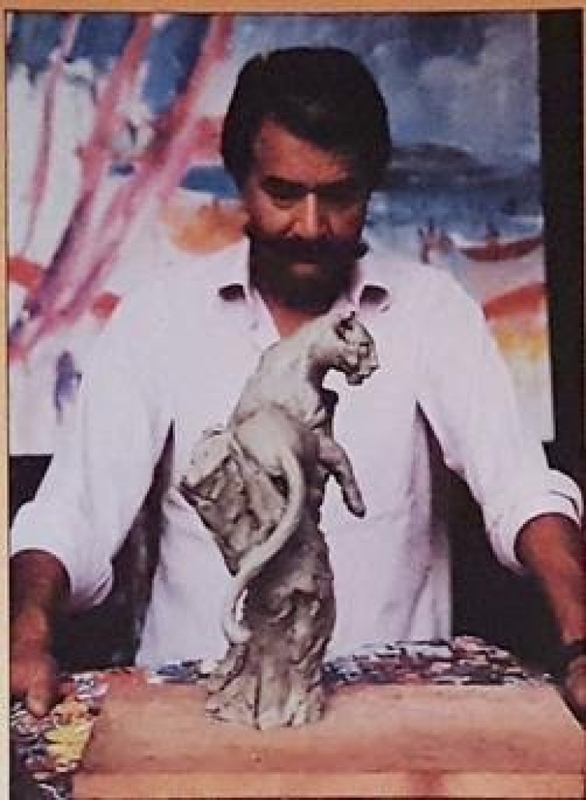 He also has established facilities at various colleges for coast to coast, including the LeRoy Neiman Center for Print Studies at Columbia University in New York and the LeRoy Neiman Campus Center, at his Alma Mater, the School of the Art Institute of Chicago. The International Center on Deafness and the Arts in Rolling Meadows IL. 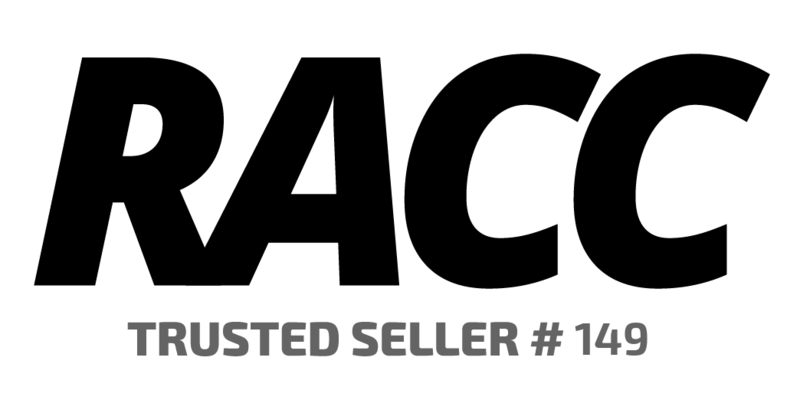 (ICODA) is now part of this long standing philanthropic fundraising practice. 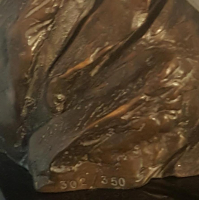 A portion of the profits for Defiant and Vigilant Sculptures goes directly to the International Center on Deafness and the Arts in Rolling Meadows, IL.